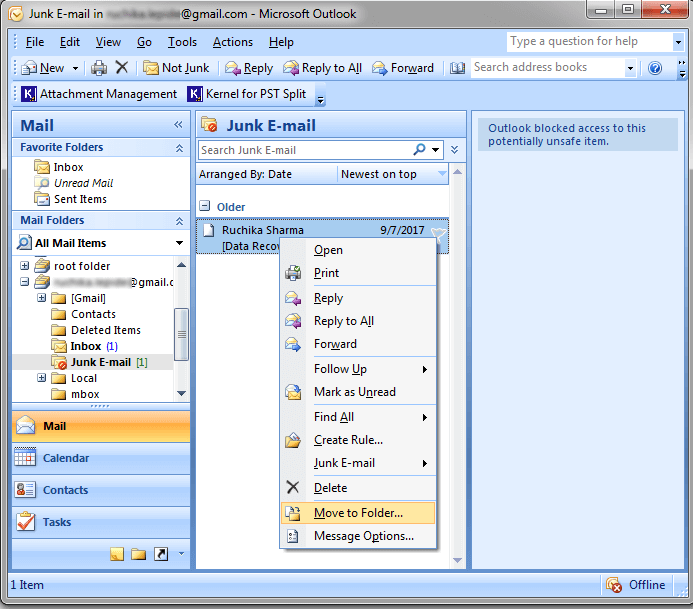 While using MS Outlook, most of the users save their data in a single PST file. This may cause performance issues in Outlook. Also, the addition of a large amount of data makes that PST file oversized and vulnerable to corruption. 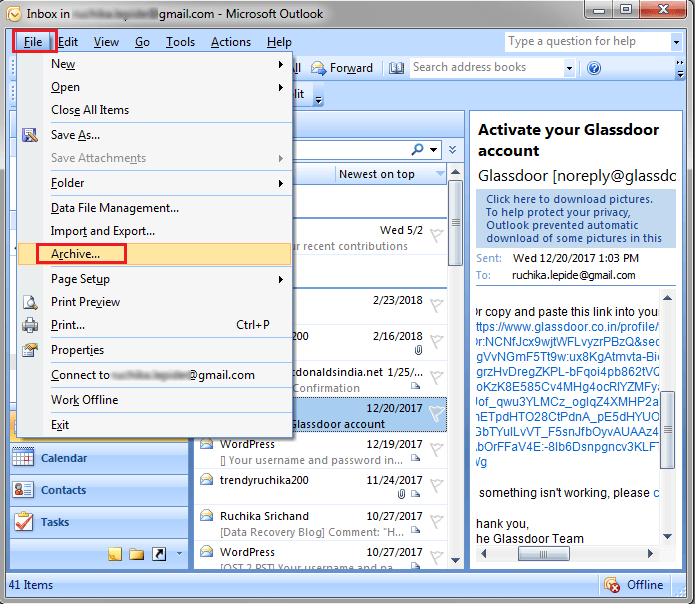 It improves the performance and efficiency of MS Outlook. It reduces the chances of PST file corruption and subsequent data loss. Makes it easy to find the relevant data from the heap of data. It is easy to manage small PST files on your system. 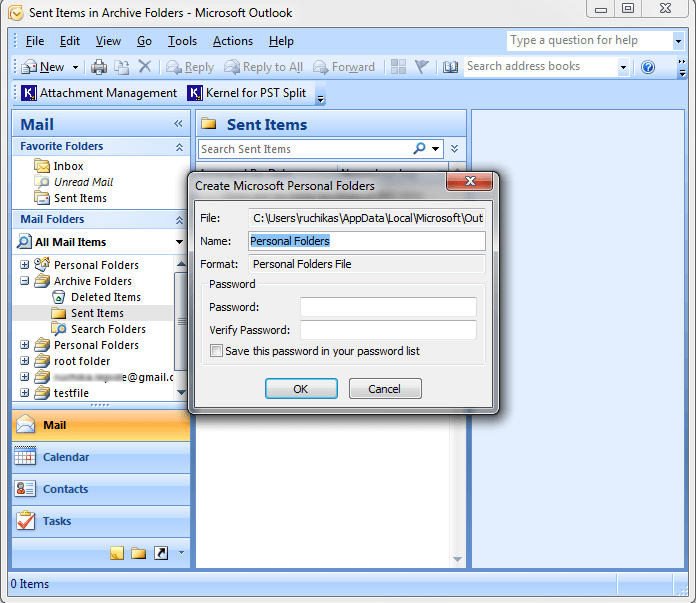 Archiving is a process of moving your old emails items to a different PST file. 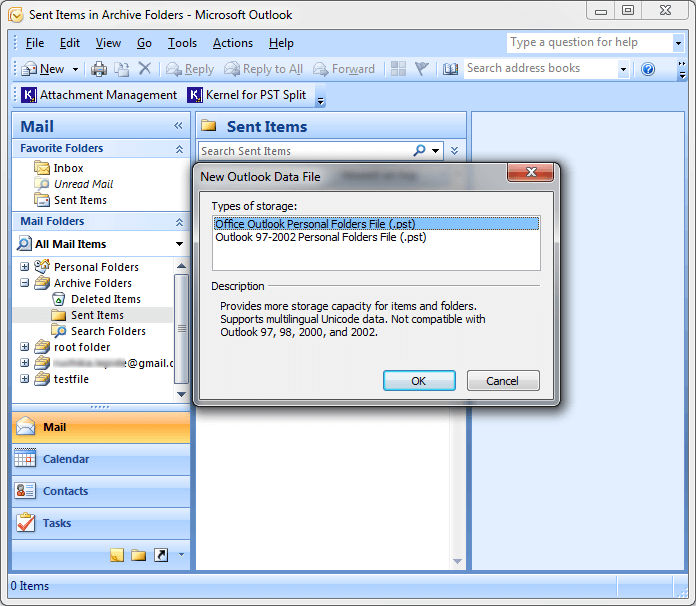 You can specify a location for the new PST file while archiving your mailbox data. 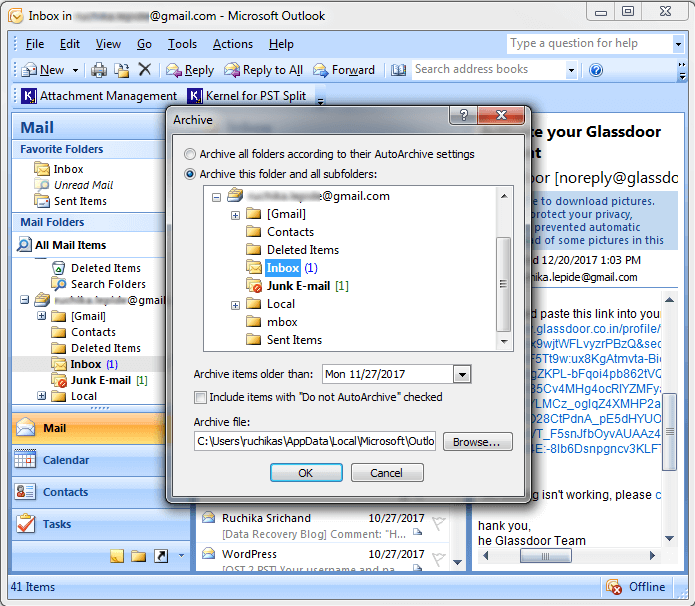 Though in a different PST file, the archived items will be visible by the name Archive Folders in the MailFolders list in Outlook. While moving to a folder, we create a separate PST file then move the items from oversized PST file to it. This method also reduces the size of PST file. 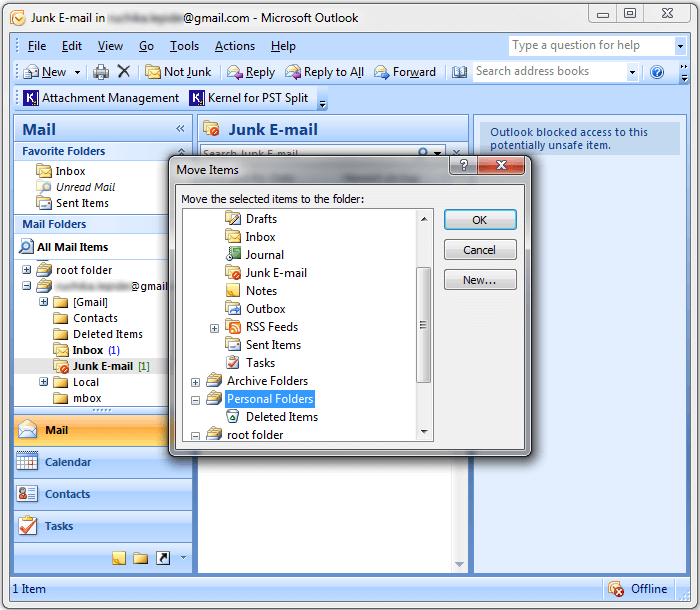 The new PST file and its folders will be seen separately in MS Outlook application. Go to File menu and click on Archive. 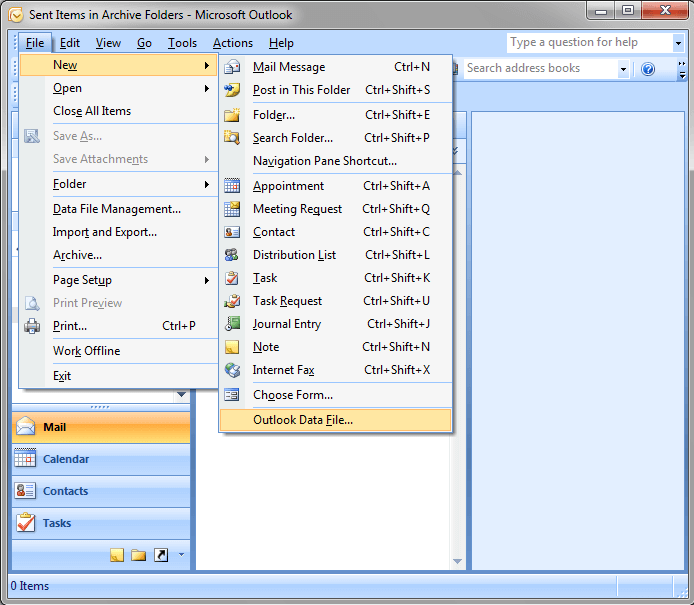 Select “Archive this folder and subfolders” and choose the folder you want to archive, click on Browse button to provide file is saving path and then click OK.
Click on File > New> Outlook Data Files. 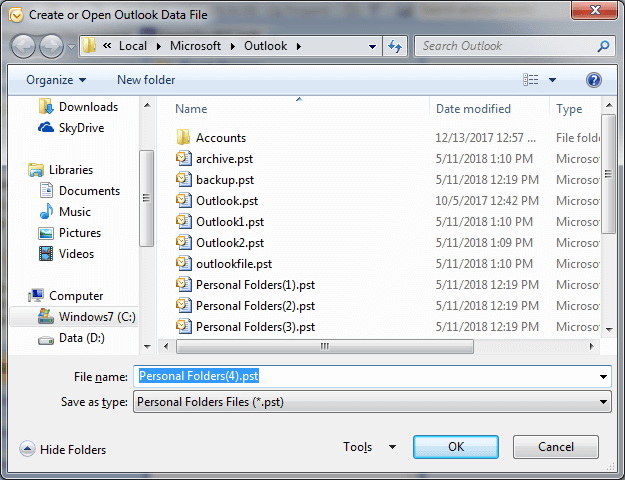 Select Office Outlook Personal Folders File (.pst) and then click OK. Here you can create a new PST file or can open an already existing file; enter the name of file and then click OK. Enter Name and other details; you can enter password too if you want to create a password protected PST; then click OK.
Now, select the emails and choose Move to Folders from the right-click menu. Select the folder (in the new PST file), where you want to move your data and then click OK. This software is suitable for technical and non-technical users.